Can I put affiliate links in kindle ebooks ? “Can I put affiliate links in kindle eBooks?” – This is one of the most common questions among publishers, authors and bloggers mind. I shoot over the question on Google but I didn’t find the consensus for this. Even I didn’t get the exact answer from the kindle community as well. What does affiliate link mean? An affiliate link is a special link or URL that contains affiliate ID or username. Advertiser uses the affiliate ID or username to track the affiliates who redirect or send their readers to the advertiser URL. Clickbank and ShareASale are the two popular affiliate marketing networks. How authors and publishers benefit from affiliate links in kindle ebooks? There are many authors and publishers who rely purely on Amazon kindle for their earnings. They should have at least 50-100 eBooks or even more than that in their KDP account. In order to promote their other eBooks, they insert the list of eBooks either at the end or in the front pages of all the books owned by them. They can easily increase their earnings by putting affiliate links instead of just giving the plain links. If they do that then they can get a royalty from the sales as well as affiliate commission from Amazon affiliate program. 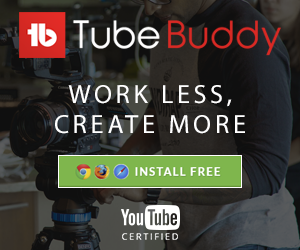 How bloggers benefit from affiliate links? Bloggers used to write ebooks to promote their own products, affiliate others products and drive traffic to their blogs. So, sometimes they’ve to use affiliate links in the ebooks for promotion. Most commonly bloggers list the ebook just for $0.99 on kindle because they want a huge number of readers. The logic behind that is very simple. More readers lead to more conversion. More conversion leads to more sales. They make more money from affiliate sales rather than an eBook sale. I think we’ve discussed more on affiliate marketing and how it works. Let’s find the answer for “Can I put affiliate links in kindle ?” which I got from authenticated KDP support. Yes! You can put affiliate links in kindle eBooks because it doesn’t violate the KDP terms and condition. When you read the kindle terms and condition under section 5.1.2, it was clearly mentioned that “You may not include in any Digital Book any advertisements or other content that is primarily intended to advertise or promote products or services”. It means you can use the affiliate links but the primary intention should not promote or advertise the products and services. In another way, you should not spam the readers with plenty of affiliate links. How to get Paid from Amazon KDP via Payoneer? How to get Paid from Amazon Createspace via Payoneer? How to claim the tax benefits from Smashwords through email for NonUS publisher? Can I put only Amazon affiliate links in kindle eBooks? This is another big question in everyone’s mind. Kindle terms and condition doesn’t specify anything about the structure of affiliate links. You can use any affiliate link that not only limited to Amazon affiliate link. Here is the response I received from the Kindle support team for the below question. 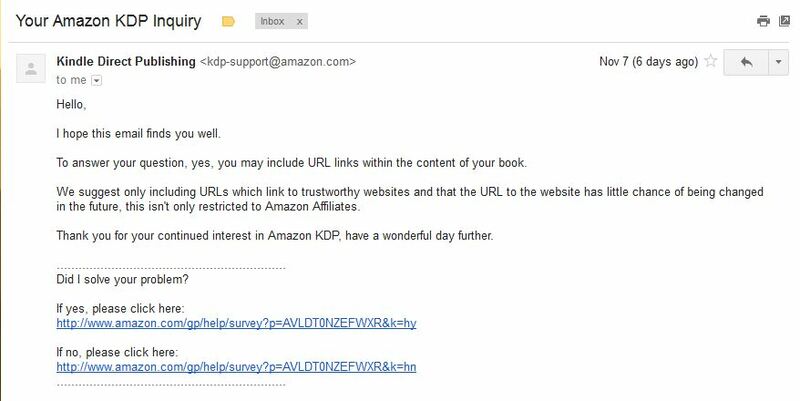 As per the KDP support team, it’s completely permitted to use the affiliate links but it should be from trustworthy websites and the URL of the affiliate link should have less chance of being changed in the future. Rajan is a web geek-Blogger-Programmer- working in corporate firm as system analyst engineer. Whenever time permits he used to blog on recent trends in technology, monetizing tips, Programming concepts and technical guides to beginners in amarindaz. How to transfer money from savings to current account in HDFC bank?